NSCA & NSSA Master Certified Instructor, Level III, David Dobson will be holding a 3 day shooting clinic at Bushy Creek Clays!! "David Dobson Shooting Clinic" "OPEN TO THE PUBLIC" David Dobson, NSCA & NSSA Certified Level III Instructor, Paragon School Master Instructor, and the founding head coach of the Jacksonville University (National Champs) Varsity Shooting Team, who currently hold 18 National Event Champion titles. 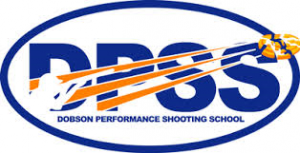 David will be available for individual or group lessons (up to 4) at Bushy Creek Clays, Perdido, AL from Thursday, May 2, 2019 through Saturday, May 4, 2019. Each session is a 2 hour minimum and includes morning and evening sessions, choose either or both based upon availability. David's rates are $150.00 per hour for one individual and $25.00 per hour for each additional individual. Target cost is 35 cents each for non-members of Bushy Creek Clays and shooters will need to furnish their own gun, ammo, glasses, and ear protection. Free cart transportation is included.For more information about David and his contact information go to our "Affiliation" page and click on the DPSS logo, "Resident Instructor", on this web site. Contact David for booking and don't delay as these slots will fill fast.